Through TheHemp.info we seek to educate and inform you about the amazing properties of hemp . No advertising and no pressure you will always find information and research materials no matter if you choose to use our services or choose one of the many other options . A non-bias forum chosen to show all that there is to know . Always updated by our team of experts from commercial , agricultural , regulatory , legal and activist backgrounds all gathered together to follow one great dream . If you have questions or comments please use the contact us link at the bottom of page . All posts are not edited , 3rd party and will have credit links . Nutr Metab (Lond). 2010; 7: 32. Two main types of Cannabis Sativa L. must be distinguished, the drug and non-drug types. The first is also known as marijuana, hashish or Cannabis tincture and contains Δ9-Tetrahydrocannabinol (THC) in concentrations between 1-20%, high enough to exhibit psychoactivity. The second type of Cannabis Sativa L. is industrial hemp with THC concentrations < 0.3% so it has no psychoactive properties [3,4]. Hempseed possesses excellent nutritional value. It is very rich in essential fatty acids (EFAs) and other polyunsaturated fatty acids (PUFAs). It has almost as much protein as soybean and is also rich in Vitamin E and minerals such as phosphorus, potassium, sodium, magnesium, sulfur, calcium, iron, and zinc [6,7]. The nutrient profile of hempseed is shown in Table ​Table1.1. Hempseed oil contains all of the essential amino acids and also contains surprisingly high levels of the amino acid arginine, a metabolic precursor for the production of nitric oxide (NO), a molecule now recognized as a pivotal signaling messenger in the cardiovascular system that participates in the control of hemostasis, fibrinolysis, platelet and leukocyte interactions with the arterial wall, regulation of vascular tone, proliferation of vascular smooth muscle cells, and homeostasis of blood pressure . In a study that included 13 401 participants, 25 years and older from the Third National Health Nutrition and Examination Survey, an independent relationship was shown between the dietary intake of L-arginine and levels of C-Reactive protein , a marker strongly correlated with the risk of cardiovascular disease (CVD) . The results of this populated-based study suggested that individuals may be able to decrease their risk for CVD by following a diet that is high in arginine-rich foods . Dietary hempseed is also particularly rich in the omega-6 fatty acid linoleic acid (LA) and also contains elevated concentrations of the omega-3 fatty acid α-linolenic acid (ALA). The LA:ALA ratio normally exists in hempseed at between 2:1 and 3:1 levels. This proportion has been proposed to be ideal for a healthy diet . Other rich sources of LA [12,13] are listed in Table ​Table22. Rich sources of the essential fatty acid linoleic acid*. The long chain PUFA that is found in the body ultimately originates from the diet and through elongation and desaturation of their dietary precursors, ALA and LA. Both families of fatty acids, n-3 and n-6, share and compete for the same enzymes (Δ6-desaturase, Δ5-desaturase, and elongases) in their biosynthetic pathways. The Δ6-desaturase enzyme is the rate-limiting step . Following its metabolism, LA can be converted into arachidonic acid whereas ALA will be converted into the long chain fatty acids, eicosapentaenoic acid (EPA) and docosahexaenoic acid (DHA) (Figure ​(Figure1).1). A high LA intake interferes with the desaturation and elongation of ALA . Therefore, theorically, a lower ratio of omega-6/omega-3 fatty acids is more advantageous in reducing the risk of many of the chronic diseases of high prevalence in Western societies. The ratio of ω-6 to ω-3 fatty acids ranges from 20-30:1 in Western societies instead of the traditional (historic) range of 1-2:1 on which human beings evolved . This is thought to be closely associated with chronic diseases like coronary artery disease, hypertension, diabetes, arthritis, osteoporosis, inflammatory and autoimmune disorders and cancer. Hempseed is also a rich and unusual source of the polyunsaturated fatty acid gamma linolenic acid (GLA) (18:3n6) to the body. Additionally, another important biological metabolite of ALA and LA, stearidonic acid (18:4n3; SDA) is also present in hempseed oil (Figure ​(Figure1).1). Both can inhibit inflammatory responses [16,17]. Manniche L. An ancient Egyptian herbal. Third University of Texas Press Printing; 1989. West DP. Hemp and Marijuana: Myths & Realities. North AmericanIndustrial Hemp Council, INC; 1998. http://www.votehemp.com/PDF/myths_facts.pdf April 8,2009. Welcome to Finola®. February 26 2009. http://www.finola.com/ April16, 2009. Ensminger AH, Konlande JE. In: Foods & nutrition encyclopedia. Ensminger AH, Konlande JE, editor. CRC Press; 1993. Fats and other lipids; p. 691. USDA National Nutrient Database for Standard Reference, Release 22. October 10 2009. http://www.nal.usda.gov/fnic/foodcomp/search/ February 18, 2010. Emken EA, Adlof RO, Rakoff H, Rohwedder WK. In: Synthesis and application of isotopicallylabeledcompounds. Baillie TA, Jones JR, editor. Amsterdam: Elsevier Science Publishers; 1988. Metabolism of deuterium-labeled linolenic, linoleic, oleic, stearic and palmitic acid in humansubjects; pp. 713–716. The outer portion of the hemp stem contains the bast fibres, the strong, long, and slender fibres that provide the strength and quality attributed to hemp. Bast hemp fibre excels in durability and absorbency, has anti-mildew and anti-microbial properties, and is in demand for certain applications, such as car panels in the automobile industries in the U.S. and Europe. The panels have the advantage of being stronger, lighter, and relatively less expensive than traditional car panels. The core fibre, sometimes referred to as the hurds, is derived from the sturdy, wood-like stalk of the hemp plant. Similar to the bast fibre, the core fibre possesses anti-mildew and anti-microbial properties. It is currently being used for animal bedding and simulated cedar shakes, as it is twice as absorbent as wood. It is also used for manufacturing hemp paper, although only small quantities are currently being produced in North America. Calgary, Alberta will play host to the 2015 National Hemp Convention. Brush off your Stetsons and cowboy boots and joint us – November 17-19. The CHTA will not be responding to phone calls or emails related to Cannabinoids. Please see statement in News and Events and in Breaking News panel to the right. Today Canada’s hemp sector is growing to provide secure supplies of hemp seed and fibre raw materials for domestic and international markets, as well as many processed and conditioned value–added products. Canada’s federal hemp regulations help to create quality, safety and accountability. A supportive scientific research community ensures that essential and necessary research continues ˜ critical for any crop. As a fast–growing annual, hemp is a renewable, reusable and recyclable resource. Changing environmental in the world’s business community are helping to turn these green attributes into a valued quality. Production of hemp originated in Central Asia thousands of years ago. Hemp has a long history of being used as a food grain, and as a source of fibre, such as clothing, rope and netting. Surprisingly to some, industrial hemp has deep roots in Canada. Hemp was one of the first crops that Champlain planted at Port Royal and later Québec. In 1606, French Botanist Louis Hebert planted the first hemp crop in North America in Port Royal, Acadia (present–day Nova Scotia). As early as 1801, the Lieutenant Governor of the province of Upper Canada, on behalf of the King of England, distributed hemp seed free to Canadian farmers. Fibre hemp cultivation continued in many regions to the 20th century. Through many Old World cultures, hemp seed also has a long tradition of in Canada: immigrants from Eastern Europe brought hemp seeds with them when they settled the Prairies. These they planted and used for fresh oil, baking and traditional dishes. Similarly, Chinese Canadians have also long eaten hemp for medicinal and dietary reasons. In Canada and in the US, hemp was outlawed 70–80 years ago, because it was confused with other kinds of Cannabis. Hemp is often called industrial hemp to distinguish it from other varieties of the plant. In Canada, all commercial hemp strains are grown under science–based regulations to maintain and ensure genetic identity. After a half century’s absence from Canada’s fields and factories, hemp cultivation was again allowed in 1998, reawakening this country’s relationship to this interesting, fascinating, flexible plant. Botanically, hemp is classified as Cannabis sativa L. (Cannabaceae). Cannabis is a diverse plant species including more than 500 different varieties. Marijuana is a distant cousin. Under regulations hemp is defined as having less than 0.3% tetrahydrocannabinol (THC) the primary psychoactive ingredient in marijuana. Because of this low level, hemp is unsuitable for drug and therapeutic purposes. THC is by the plant’s epidermal glands and is not produced in the hemp seed. 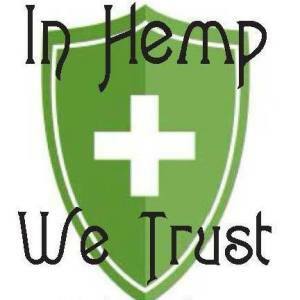 All Industrial Hemp grown in Canada is GMO free. Canadian Hemp production was officially discontinued in 1938. In 1994, Health Canada began issuing hemp research licenses again. In March 1998, Health Canada allowed commercial production of the crop under a licensing system. Information on Hemp Regulations can be found at this link on Health Canada’s web site. As with many new crops, there has been considerable fluctuation of production acreage. In 2003, over 2700 hectares (6700 acres) were grown across Canada , mostly concentrated on the Prairies. In 2013 there were 66,671 acres licensed for cultivation. Hemp has been grown with success from coast–to–coast. An Agriculture and Agri–Food Canada backgrounder is at this link. Because the marijuana plant contains chemicals that may help treat a range of illnesses or symptoms, many people argue that it should be legal for medical purposes. In fact, a growing number of states have legalized marijuana for medical use. Read more about marijuana-related state laws at www.whitehouse.gov/ondcp/state-laws-related-to-marijuana. Are Medical and Street Marijuana Different? 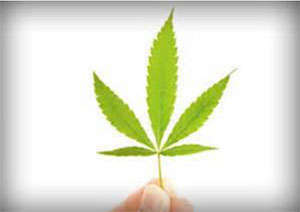 Most marijuana sold as medicine is the same quality and carries the same health risks as marijuana sold on the street. However, there is interest in the marijuana chemical cannabidiol (CBD) to treat certain conditions such as childhood epilepsy, a disorder that causes a child to have violent seizures. Therefore, scientists have been specially breeding marijuana plants and making CBD in oil form for treatment purposes. These drugs may be less desirable to recreational users because they are not intoxicating. 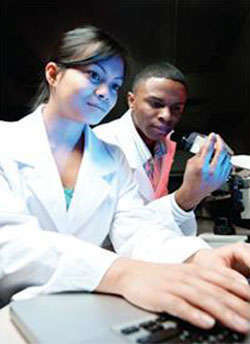 The FDA requires carefully conducted studies (clinical trials) in hundreds to thousands of human subjects to determine the benefits and risks of a possible medication. So far, researchers have not conducted enough large-scale clinical trials that show that the benefits of the marijuana plant (as opposed to its cannabinoid ingredients) outweigh its risks in patients it is meant to treat. Read more about the various physical, mental, and behavioral effects of marijuana in DrugFacts: Marijuana at www.drugabuse.gov/publications/drugfacts/marijuana. Read more about NIDA’s marijuana research at www.drugabuse.gov/drugs-abuse/marijuana/marijuana-research-nida and www.drugabuse.gov/drugs-abuse/marijuana/nida-research-therapeutic-benefits-cannabis-cannabinoids. Regular medicinal use of marijuana is a fairly new practice. For that reason, its effects on people who are weakened because of age or illness are still relatively unknown. Older people and those suffering from diseases such as cancer or AIDS could be more vulnerable to the drug’s harmful effects. Scientists need to conduct more research to determine if this is the case. Two FDA-approved drugs, dronabinol and nabilone, contain THC. They treat nausea caused by chemotherapy and increase appetite in patients with extreme weight loss caused by AIDS. The United Kingdom, Canada, and several European countries have approved nabiximols (Sativex®), a mouth spray containing THC and CBD. It treats muscle control problems caused by MS. The United States is conducting clinical trials for its safe use in treating cancer pain. Although it has not yet undergone clinical trials, scientists have recently created Epidiolex, a CBD-based liquid drug to treat certain forms of childhood epilepsy. The term medical marijuana refers to treating a disease or symptom with the whole unprocessed marijuana plant or its basic extracts. However, scientific study of the chemicals in marijuana called cannabinoids has led to two FDA-approved medications in pill form. Scientists are conducting preclinical and clinical trials with marijuana and its extracts to treat numerous diseases and conditions. Two FDA-approved marijuana drugs are dronabinol and nabilone, both used to treat nausea and boost appetite.